Thank You Judy Fox and Sarah Blausey for sharing your thoughts and insights. Being an author’s assistant is a job like no other: Exciting, fulfilling, and, at times, crazy! 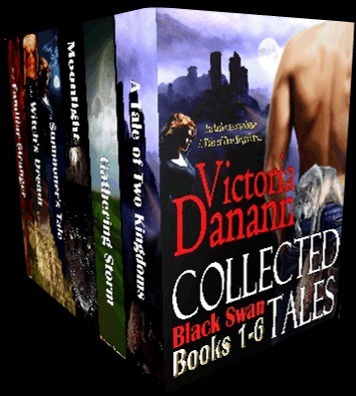 We work for an Indie author, Victoria Danann, which adds another level of challenge to the mix. Without a big publisher behind us, we work on her behalf to get the word out about her amazing books. Here’s our first confession: Neither of us has worked as an author’s assistant before! We were both fans first, as well as being members of her street team. She mentioned one day that she was looking for a new assistant, and both of us replied. Being a smart woman, Victoria realized how amazing we both are. So, instead of choosing one, she hired us both! Now the three of us are blazing our own trail in the wild world of Indie publishing. Our most important functions are managing Victoria’s social media and the street team, which is a group of some of the most devoted Victoria fans around. The street team is one of our most important keys to getting the word out about the Black Swan serial saga. We also work with Bloggers and Facebookers to feature or promote Victoria’s books, keep track of her calendar, and organize events such as giveaways. There are a lot of moving parts that require a tremendous amount of organization and detail supervision. Through a semi-complicated structure of file sharing and online chat, the three of us are able to work as a team so that each of us always knows what the other is doing. Once people find out about and read Victoria’s first book, My Familiar Stranger, which is free everywhere, they usually join the rest of us in being fans of her work. 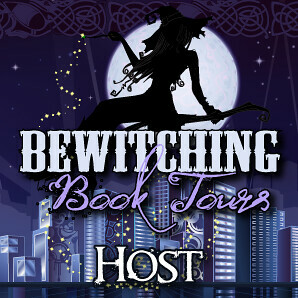 We really love that her books are a mix of paranormal romance and fantasy, genres that we both really enjoy reading. It’s so fun working for someone you admire – Any task that helps her out is something we’re glad to do. Sarah: I had been on her Street Team for about a month when the opportunity came up that she needed an assistant. I sent her an email about all the things I had done in the past, reasons why I would be a great assistant. I was SO nervous waiting for the response! But, as you can see, I am here! Judy: One day, on the street team page, Victoria mentioned that she needed an assistant. I contacted her to offer to help her out in the meantime, but it turns out I was in the right place at the right time, and started working for her! The learning curve has been pretty steep – there is so much about the author world that is so very different from the experience of a reader. I love this job! I get to utilize every skill I’ve learned over the years and apply them in unique and creative ways. Sarah: You’re right, it is crazy different as far as how it measures up to any other job I have, but I would never trade it! Judy: I’m constantly amazed that I get to do what I do. I learn so much every day. I didn’t realize how bored I was before. Seriously. How did you know that the street team idea would even work? Judy: The idea of a street team isn’t really new. It started in the music industry with a literal street team handing out fliers about a new music group. The concept has evolved now into street teams for all kinds of things. 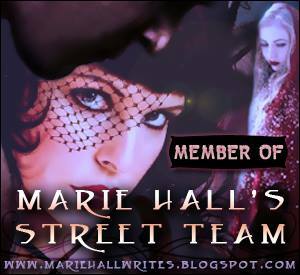 Feedback I get from members of Victoria’s street team is that this is one of the most active groups for an author. Our team has regular blogs that they work with to help spread the word. 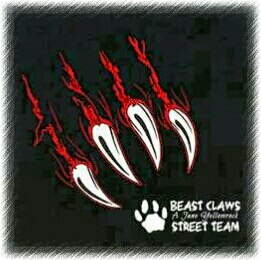 Having a hangout on Facebook with a private page for our group has been really great for building our team identity. Sarah: Victoria had the Street Team before I became her assistant. I think it’s a great idea for many different reasons. Her biggest fans get time to chat with her whenever they like, they know her better than her other readers do. They also get the opportunity to get her new books about 2 weeks before everyone else. This helps both them and Victoria as she gets feedback before the release date. It is also a great advertising tool as we have wonderful Street Team members that will help get the word out about anything! What is the most rewarding aspect of being an author’s assistant? Sarah: This one is hard to explain. Being Victoria’s assistant is a reward in itself. I get to talk to her daily, manage a fantastic Street Team, and meet some really incredible people. All the while knowing that I am helping a writing genius get the time to do what she does best! Judy: The most rewarding thing about this job is that I get to help an author I truly admire. It just feels so good knowing that my work in the background enables her to have time to write her amazing books. Sarah; She’s right; I know Victoria is writing fantastic things and that makes me extremely happy! Judy: I love it every time Sarah says, “She’s right,” when she’s talking about me! It happens a lot. How many hours a week/day do you spend on this job? Sarah: A lot. But in no way can I complain. Most of the Street Team says they see me online, all the time, no matter what time it is. Well, I LOVE what I do. And a lot of my part of the job includes Facebook, so I’m on there for my stuff and book stuff all the time. Plus keeping track of what 50 people do takes up some time!! Judy: It’s really impossible to calculate. I know I work the equivalent of office hours daily, and then check in again at night. I try to avoid working on the weekends, but when stuff is happening, I’m on whenever I need to be. This job for me is a blend of fan/ employee – it’s definitely more a labor of love….but it is nice to get paid! Sarah: Wait… You get paid?? So, what’s the dirt? Any scoops you can share? Judy: Wow! Way to put us on the spot. Part of being an assistant is protecting the person you work for. My boss probably won’t fire me for saying that she put a photo of herself on Facebook once – she was swimming – I noticed no clothing in the picture, and asked her about if – to which she replied, “haha”. Yep. That’s the kind of crazy I’m lucky enough to work with every day. I love her. Sarah: She’s got a wicked crazy sense of humor….and she and I get one another’s jokes, while Judy is often left scratching her head! Judy: Hey! I get some of the jokes….sometimes. 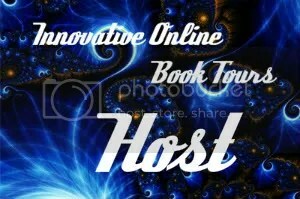 Blazing a new trail in the world of Indy book publishing is exciting and fun. There is some seriously hard work involved, but it’s hard to really take note of that when we’re having such a good time! Being coworkers that truly enjoy and admire, not only our boss, but one another, makes every workday fun and entertaining. We both like meeting new people, learning new things, and we’re pretty good at sharing the load. We don’t know how Victoria got along without us! The Order of the Black Swan is a serial saga including My Familiar Stranger, The Witch’s Dream, A Summoner’s Tale, Moonlight, Gathering Storm, and NEVER BEFORE RELEASED Book 6, A Tale of Two Kingdoms. Once upon a time a girl lost everything familiar. She escaped death by being forced into an experiment that left her in another world where modern day knights, elves, vampires, werewolves, witches, demons and fae became her allies, friends and family. She discovered a place where adventure intersects fairytales, where honor is more than an ideal, and she learned that love can find you in the strangest places, when you’re least expecting it, even when you’re far, far from home. This is the story of Elora Laiken’s strange and wonderful journey. It is also the story of those whose lives she touches along the way. The entire box set, which will retail after December 15th for $18.99, will be available during release week for $0.99 and can be preordered at that price from either Smashwords or Kobo. Buy links to Amazon, B&N, and Apple (iBooks, iTunes) will be available release week. Subscribe to the mail list for a reminder. FIND THE BUY LINKS HERE on December 9th. If you’re looking for something new and different in PNR, you’ve come to the right place. I write unapologetic romances with uniquely fresh perspectives on paranormal creatures, characters, and themes. Add a dash of scifi and a flourish of fantasy to enough humor to make you laugh out loud and enough steam to make you squirm in your chair. My heroines are independent femmes with flaws and minds of their own whether they are aliens, witches, demonologists, psychics, or past life therapists. My heroes are hot and hunky, but they also have brains, character, and good manners – usually – whether they be elves, demons, berserkers, werewolves, or vampires. I have authored and illustrated Seasons of the Witch calendars and planners for fifteen years and teach magickal arts for Seasons in Avalon. I live in The Woodlands, Texas which is why I sometimes joke about being the witch in the woods. Archival print of the Black Swan covers signed by the author/artist.